All location history details are uploaded to your online SpyApps control panel which you can access from anywhere with an internet connection. Why will you find this GPS Tracker feature useful? There are cases when a person may need to spy on other. The reasons can be many. It is possible that you are a concerned parent, a worried employer or a doubtful spouse. Whatever the reason may be, the best way to kick out your doubt is by taking the help of GPS tracker in the SpyApps. This application is the best way you can ensure the safety of your loved once as it is known to give best and the most accurate results. Before discussing about the features and benefits that the spy app provides you it is first important to understand the concept of GPS Tracker. The global positioning system (GPS) is a way of tracking a person’s location carrying a vehicle or a device like a mobile phone. The traced location is either stored in this unit or is send to any centered location. It allows the location of the person to be displayed on a map in real time. However, the information can also be accessed later on. Nowadays the best way to monitor someone’s location is via mobile phones. When talking about the GPS Tracking Device systems for spying on someone, the SpyApps is the first thing that comes to mind as you cannot get anything better than this. The SpyApps are global leaders in the world of spying and monitoring software. They provide their customers with world class services and the best features. The best proof of their popularity can be understood by their million followers who have witnessed the level of perfection they have. If you are looking for the top most GPS tracking software then going for SpyApps will be the most intelligent decision ever. How does the SpyApps work? If you have to spy on someone and trace their location, then you will have to download the monitoring application in the mobile phone of the target. After this, you can easily trace the location in real time. Moreover, you will get the notification every time there is a change in the location of the suspect. This application works in the background and is not seen by the targeted person. Therefore you can trace the location, without any worries. Not only this, by installing it on the cell phone of targeted person, their location, messaging activities, calling details and much more can be accessed in real time. Monitor the internet activities- all the things that a person does with the help of internet will be shown to you on your device. This feature is best for those who want to monitor the internet usage of their kids or want to catch their cheating spouse. As employer, knowing what the employee does in office hours is very important. This application lets you see all the details and browsing history of the person. View multimedia files– there have been cases when the employees have shared confidential information about the company via videos and images. By getting access to all the multimedia files like videos, images, you can make sure that all the data of your business is safe. Also you can know all the content that your kid has on his mobile phone. Record calls and access the call logs– all the calls made and received by will be known to you via notification. You can have all the details of the caller like his name, number etc. with the help of the feature of accessing call logs, you can track the persons calling activities afterwards also. All the information gets saved on the online cloud of the SpyApps. Track the location- this is the best and most helpful feature of the SpyApps. A GPS tracking system is must in any monitoring software and this application gives you the most accurate detail. For employers having business of delivery and parcels this feature is the most helpful. By tracking the location of children and spouse, a person can ensure their safety and can also keep a track of the detours taken. Track the text messages and other messaging application– by this application, you can read all the text messages and WhatsApp conversations as if they have been done on your phone. Not only this, you can also track down the detail of any sender like his name and contact details. You can make sure whom your child, employee or spouse is talking to. These days, text messages are the most popular and preferred way of talking and sharing information. View the notes and documents- the notes and other things saved in the cell phone of the target can be seen by you too. It is most helpful in business world, where employees safe confidential data of the office to sell to competitors. By getting the details saved in the notes and documents you can make sure that the person is not doing anything suspicious and clear all your doubts. Ambient listening– ambient listening feature lets the person to listen to all the surrounding voices of the target. As employer, you can know what the employee is talking and to whom. Ambient listening and auto call answer features are also used in determining the location of the suspect. Restrict the usage of internet – this feature is most helpful when you are a parent. You can restrict and limit the amount of internet used by your kid and can prevent him from watching unwanted websites. Key logger- key logger is a feature that lets you know all the passwords saved on the mobile of the target. All the passwords of accounts as well as app lock passwords are traced by the key logger and are conveyed to you immediately. Track the social media handles– the social apps like face book, Instagram etc. can also be accessed by you with the help of this spying application. You can run all the accounts of the suspect and see all the posts and tags made by them. You can also check their friend list and comments made. The social account of your child can tell you a lot about the track in which your child is heading. The list of the features provided by the SpyApps does not end here. You get to experience various more features while using this application. The entire features listed above will make the GPS tracking all the more easy and interesting. For the safety of your loved ones and resolving all the doubts in your mind, SpyApps plays an important role. Therefore no time must be wasted in choosing this application as it is the need of the hour. What is the need of having a GPS Tracker App and how does it help? As a parent– as it was mentioned above, if you are a concerned parent and want to ensure the safety of your child then using the SpyApps is the best way. The GPS tracking in this application lets you know the whereabouts of your child. By tracing their location, you can make sure that your child has gone to the place which he told you. For the working parents, it becomes difficult to know where their child is. By tracing them, you can make sure that they have reached their destination safely. Also, any change in the location will be notified to you via SMS by the SpyApps. For employers– by having the monitoring application with GPS tracking system, as an employer, you can keep track of all the activities of the employee. You can know how fast are your employee driving, the route he has taken and the time in which he reaches the office. It helps the employer to determine the lazy employees and take action against it. For the business owners involved in the transportation, the GPS tracking becomes all the more important. You can not only ensure the safety of your employee but can also keep track of the fuel usage by calculating the distance for which your employee is traveling. Any detours taken by the employee during office hours can be tracked, and it becomes easy to fix responsibilities. As a partner– if you are having doubt on your spouse and want to clear it then using the SpyApps is the best way. For people who feel that their partner is cheating on them and go places without their knowledge, the facility of GPS tracking is the most helpful. By installing this application in the mobile of the suspect you can easily track their location. Not only this, you can make use of all the other features provided by the SpyApps to clear your doubts. By knowing the whereabouts of your partner, you can ensure their safety too. The need of GPS tracking for an individual is very necessary not just to locate the nearest restaurant but also to ensure the safety of loved ones. There are a lot more things that you can do with the help of a GPS unit provided you have the most reliable system for it. The SpyApps provides you with the best and the most trustable GPS solutions. What are the benefits of using the SpyApps? Totally reliable– as it was stated earlier, the SpyApps is a global leader in the world of monitoring applications. It has millions of users who are satisfied with its services. Its users are the best proof of its reliability. You do not have to worry about the virus and malfunctions in the application, and it will work smoothly for a very long time. Network change notification– if someone changes the sim of the phone, the spy app will notify you in this regard. You will also come to know about the new network. The spy application works even if the phone is switched off. 100% undetectable– the SpyApps work in the background and therefore is totally undetectable. The targeted user will never come to know about its existence on their mobile phone, and you can do the tracking work without any fear. Compatibility– this application supports all the operating systems and is therefore very compatible. You can use it on windows, android, iPhone. There is a different version of this application for different operating systems. You just have to be sure that you buy the suitable one. Free trial and money back guarantee– you get a free trial for 48 hours and if you feel satisfied with all its services, then you can buy the premium plan. But after installing the paid version of this application, you feel that there is some technical issue then you can claim your money back. You will get back your amount within seven days. Perfect support options– in case you face any difficulty in relation to the use of the application then you can contact the 24×7 open customer service center. In the case of any query or complaint, your issue will be solved within 4-6 hours of complaining. SpyApps have the best customer support services. The advantages are never ending. A person who wants to spy or keep track of another person must not miss this application. You must download the application without a doubt. SpyApps lets you keep track of all the places where the target has been and give you various other services in addition. It has the best GPS Tracker, Android tracker, and location tracking services it gives its users all the location details like longitude and latitude, date stamps, etc. all the details regarding the location gets immediately updated on the online control panel of the spy app. All the updated data can be accessed by you anytime and anywhere. You just need to have an internet connection, and all your tracking will be done in seconds. This application is compatible with all kind of operating systems and functions without a malware for a long time. It is strongly recommended that you make use of this application at least once in your life and it is guaranteed that you will not get disappointed. To keep your loved once safe and ensure the safety of your business, GPS Tracker through SpyApps is the most effective way today. 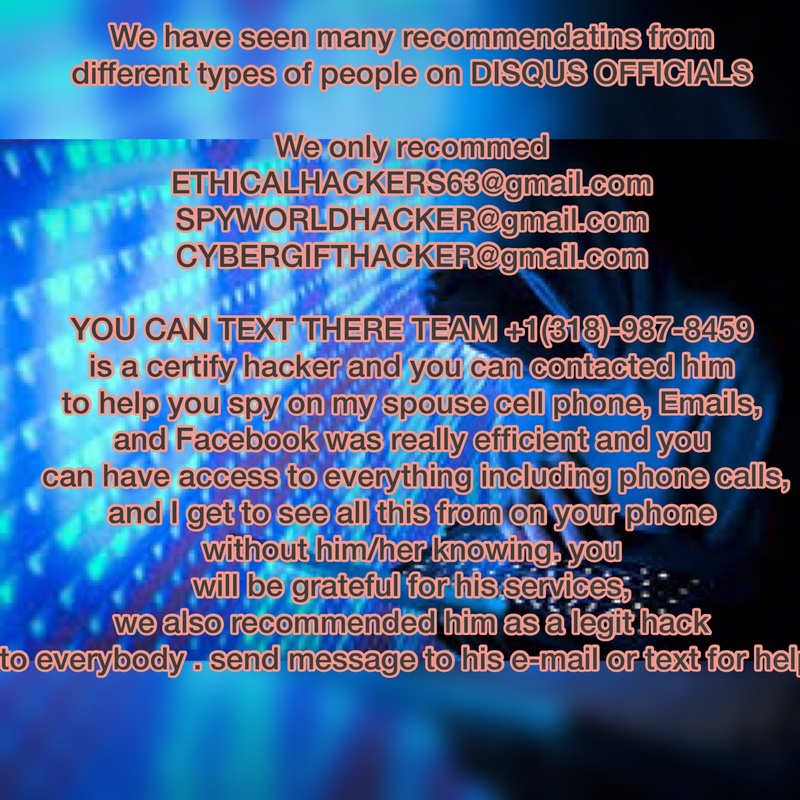 Tracking down her messages and incoming/outgoing calls gives you a complete picture of her activities and lies, all you need to do is hire the best and legit hacker netseverhack gmail for the best result…..